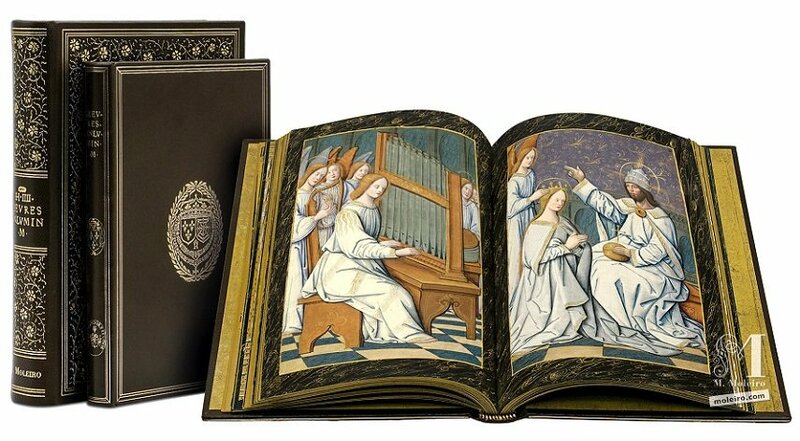 This book of hours is so magnificent that its royal owner, Henry IV of France, associated himself with it by having his arms stamped on its front and back covers. 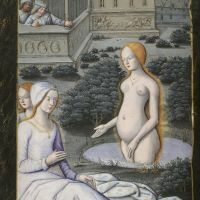 Over the centuries, the manuscript was safeguarded in the royal collections, first at the Louvre Palace and then, from 1720 onwards, in the King’s Library. It is obvious upon opening this manuscript, that it is a unique and outstanding work, a manuscript that literally shines with a thousand lights – the least one can say about a codex whose every page of text has a gilded ground. The margins are delicately and stylishly decorated with foliage motifs. Another rare and surprising element occurring on several occasions is where the letters of the alphabet are used to fill the borders. But these are not the only unusual elements. 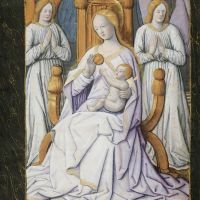 Unlike the custom in that period, the large initials are painted white with purple highlights. 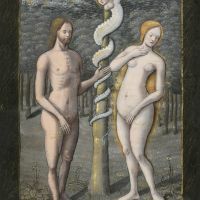 In addition, the lavish iconographic cycle with its purple and golden highlights, consisting of more than sixty paintings inspired by the New Testament, is a rare – and remarkable – example of grisaille illumination from the turn of the 16th century. 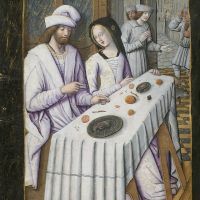 Finally, the calendar, and also the four small scenes of the Passion set inside the columns of text, are illustrated with line drawings upon a gilded ground. To learn more about its attribution, we must rely on what the many images themselves can tell us. 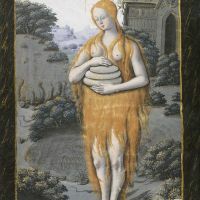 According to art historians, the style is very similar to that of the Master of Petrarch’s Triumphs, a prolific Parisian illuminator influenced by Jean Bourdichon and Jean Poyer. 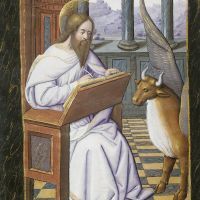 François Avril is of the opinion that one artist in this atelier has distinguishing features that can be recognised in several manuscripts including the one under study here. In all other respects, the ninety folia in this manuscript embody all the most traditional features of the book of hours typical of that period, i.e. 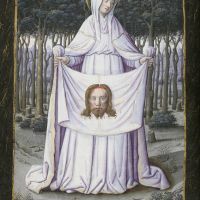 a calendar, Gospel lessons, prayers to the Virgin, the Passion according to St John, the Hours of the Virgin, the Hours of the Holy Ghost, the Penitential Psalms and litanies, the Office of the Dead and the Suffrages of the Saints. 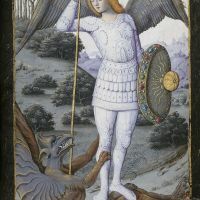 Finally, as was the norm in all books of hours dating from the Middle Ages and the Renaissance, the text is written in black and the headings in red. The saints’ names in the calendar are written in alternating red and black ink.